The Dany Bar Stool by Daytona presents a stylish seating solution for your kitchen and dining space. Hand-crafted from solid beech, the backrest and seat are upholstered in the finest Italian nubuck leather with intricate hand-stitching. The upper layer formed with air pockets and covered by soft goose down for maximum comfort. Tapered legs are finished with a lustrous smoke lacquer. 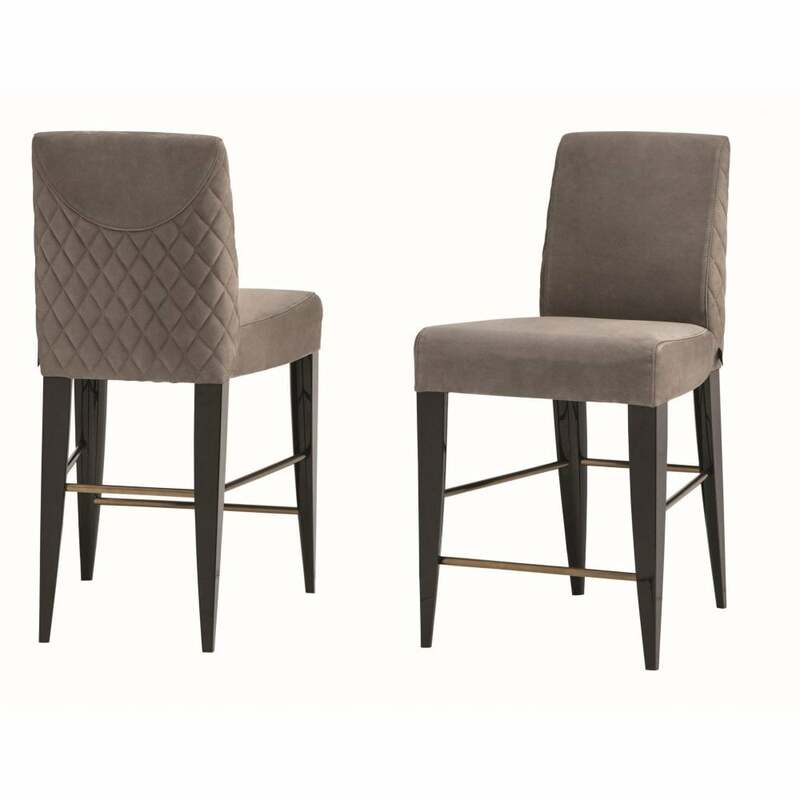 Add a touch of 1930’s glamour to a kitchen island or breakfast bar with the Dany Bar Stool. The sculpted legs can be carried out in various lacquered woods with brushed gloss finish. The seat and backrest are also available in either fabric, leather or nubuck leather upholstery. Make an enquiry for more information.